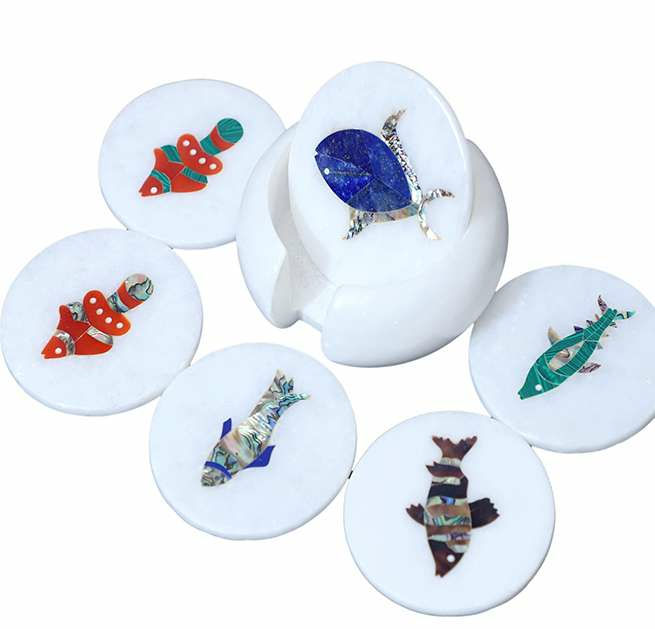 We acquaint with our customers our scope of Marble Inlay Fish Pattern Design Coasters that are cut and created by our gifted craftsmen. 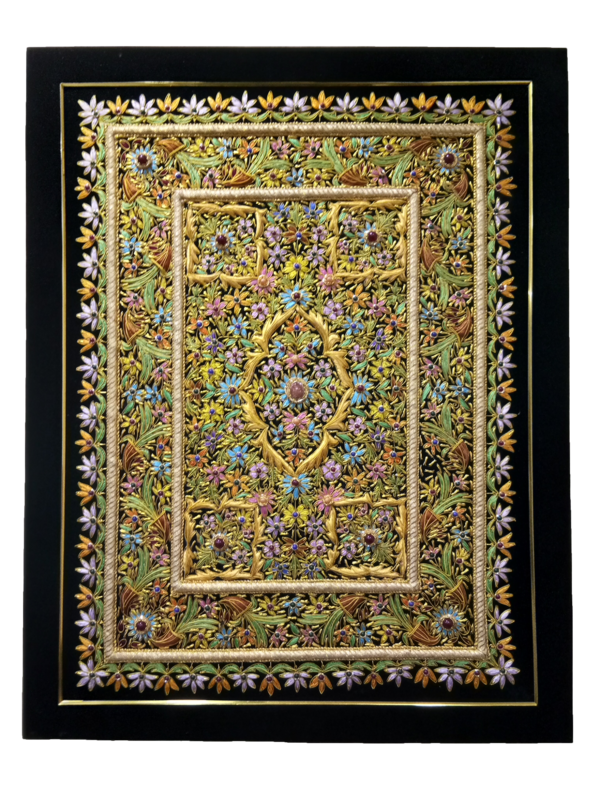 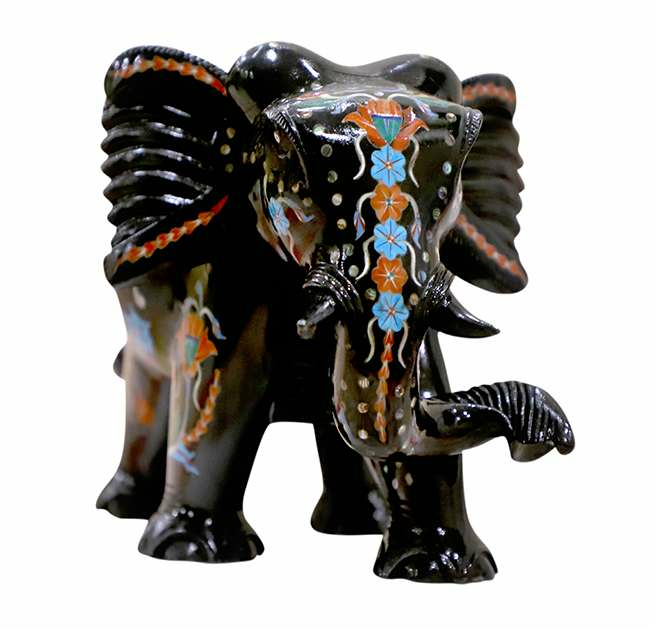 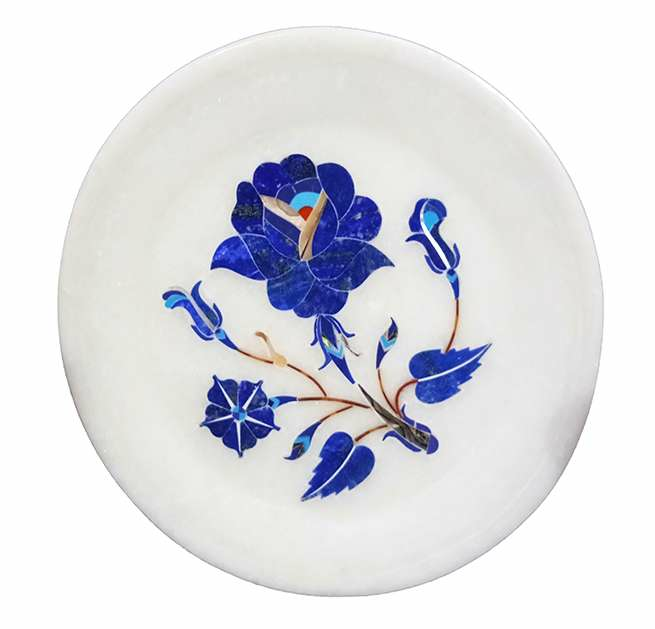 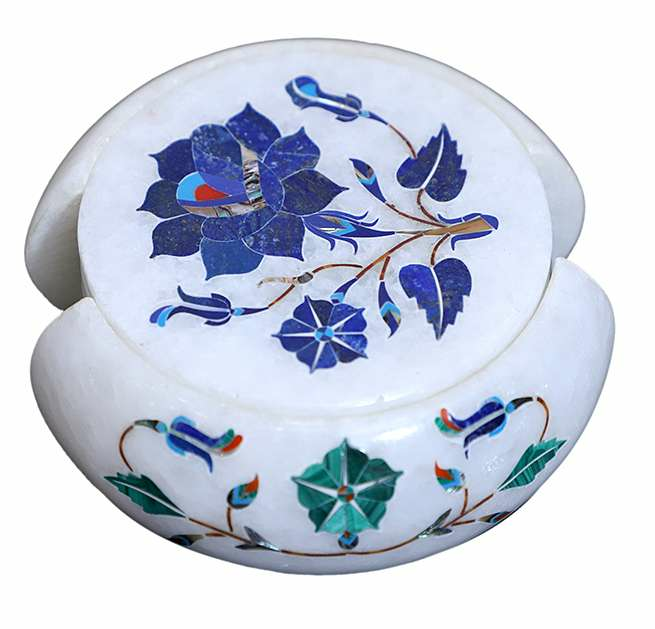 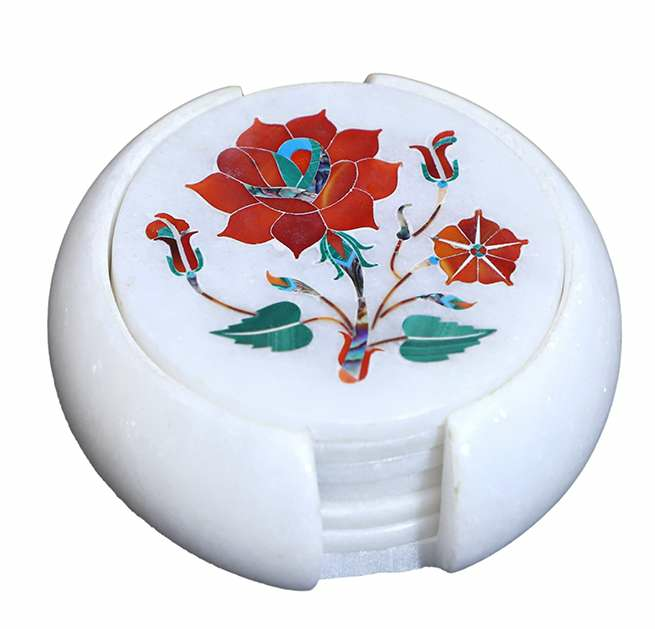 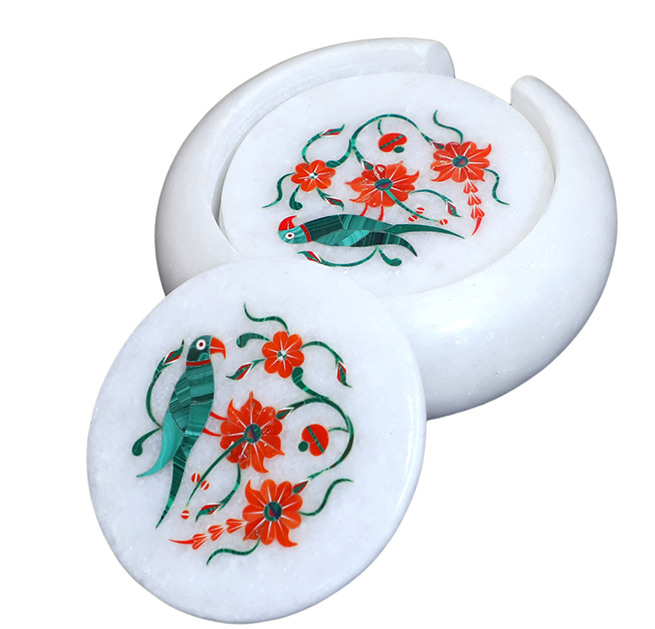 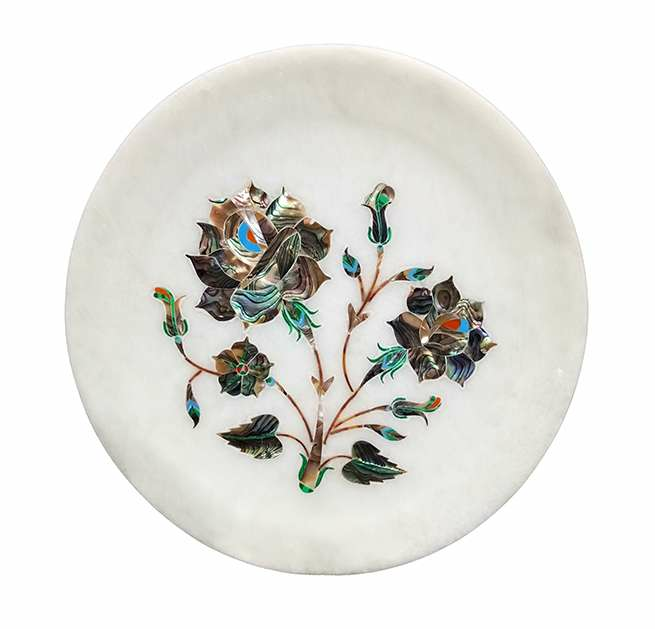 Mirroring the antique greatness of Indian craftsmen, these Marble Inlay Fish Pattern Design Coasters are experiencing wide request in the local and in addition abroad market. 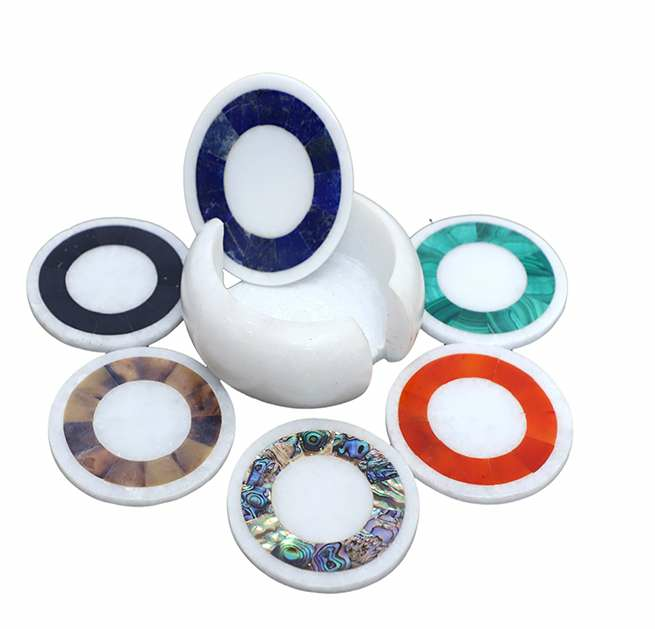 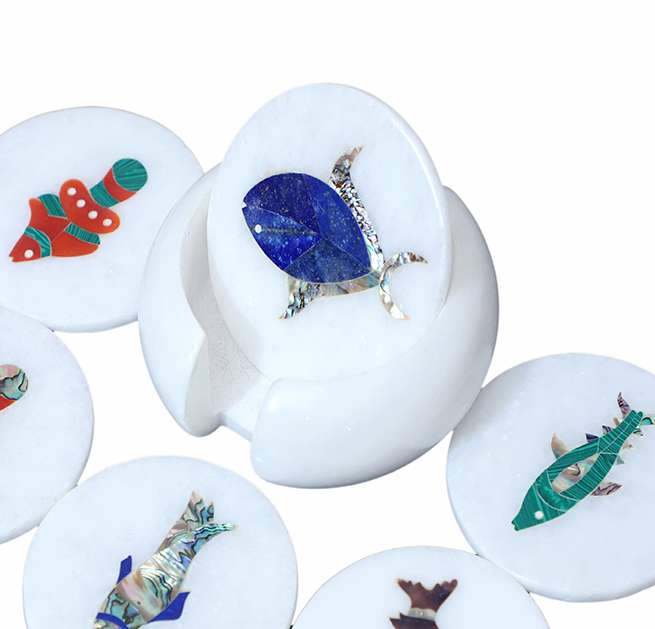 These handcrafted Marble Inlay Fish Pattern Design Coasters are produced using most noteworthy nature of marbles sourced from confirmed sellers of the market. 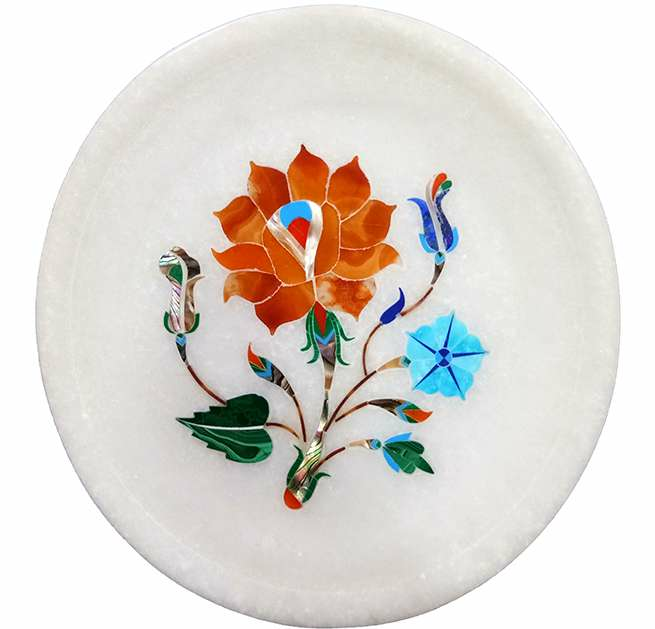 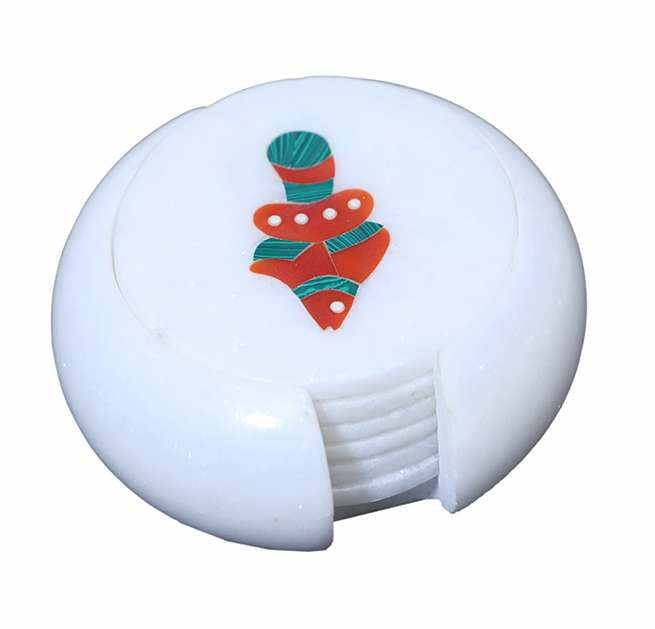 We offer them in the various plan, shading, completes and sizes to profit the prerequisite of our customer.